My final organized swap was a Punch Art Card swap. Here we actually made a full card with punch art. 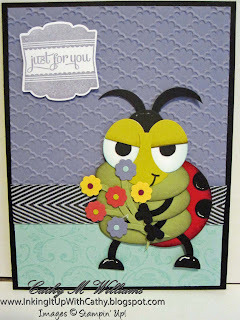 I came across this little ladybug on Pinterest but it was holding a glitter heart. I decided to give her a bunch of flowers instead which worked perfectly with the "Just for You" sentiment. 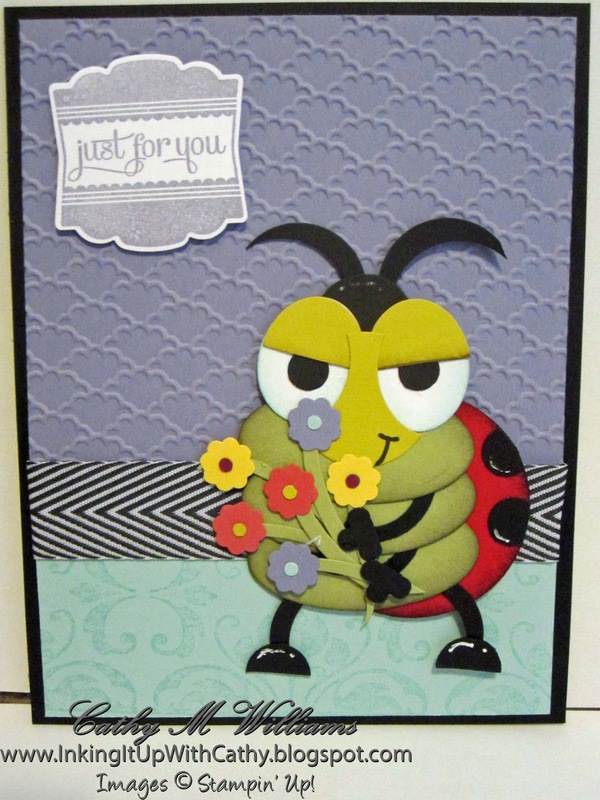 I mean really, who wouldn't love to receive a bunch of flowers from this adorable little ladybug???? Other: Chevron Ribbon, Signo Gel Pen, Glue Pen & Lots of Patience!